As mentioned in last week’s column, these next few weeks can be considered “prime-time” for ocean fishing in the Monterey Bay. Salmon fishing is closed in our area, though we received reports of a number of salmon hooked as unintentional by-catch. All, of course, had to be released immediately. Our staple species of rockfish, lingcod, halibut and even striped bass are all providing tons of action and plenty for the table or freezer. Charter operations around the bay all report limits of fish for their clients. It’s a great time to hop on one of the big comfortable boats operated by professionals who can put you right onto the fish. 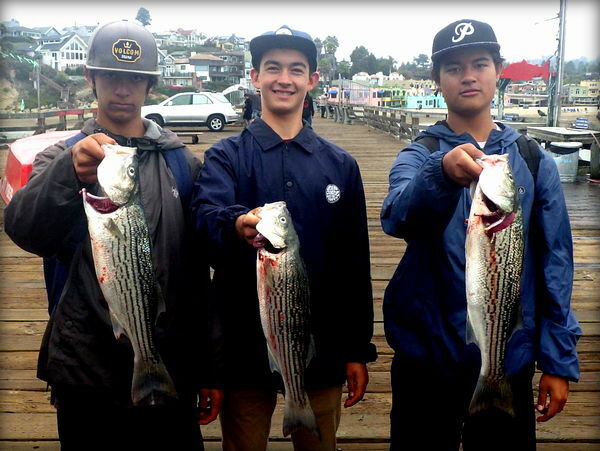 Chris' Sportfishing in Monterey have maintained their limit record and show an increase in lings caught this past week. According to owner Chris Arcoleo, Wednesday’s trip aboard the Check Mate yielded 22 lingcod and limits (170) of rockfish. The Kahuna, launching from Moss Landing found big rockfish and a wider variety on a trip to their Big Sur fishing grounds. Skipper Brian Cutting reported one cabezon, 30 bocaccio, 25 copper rockfish, 42 lingcod (up to 22 pounds), 60 vermilion rockfish and 94 assorted blues, blacks, calicos and yellow rockfish. In Santa Cruz, catch reports were much the same. Stagnaro’s Sportfishing had two trips out last Saturday. The morning trip came back to the dock with full limits of rockfish, while the twilight trip yielded “only” 170 rock cod, according to owner Ken Stagnaro. Tom Dolan on the six-pack charter Mega Bite reported on Sunday’s trip saying, “Started out real foggy then cleared in an hour to a beautiful sunny day with little wind. After stopping off for a sand dab bait stop headed up the coast to one of our favorite big fish holes. 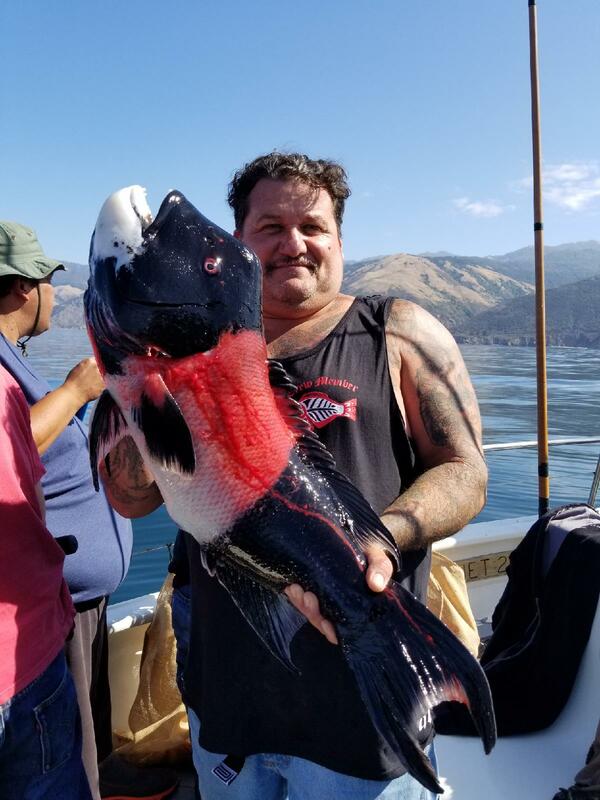 Came home with six nice lingcod and limits of copper, blue, olive, black, and red pacific snapper.” Go Fish Santa Cruz Charters weekend report was much the same with limits of rockfish and lingcod up to 16 pounds for clients aboard the beautiful Miss Beth. Halibut fishing also remains strong, on flat sandy areas ringing the bay. 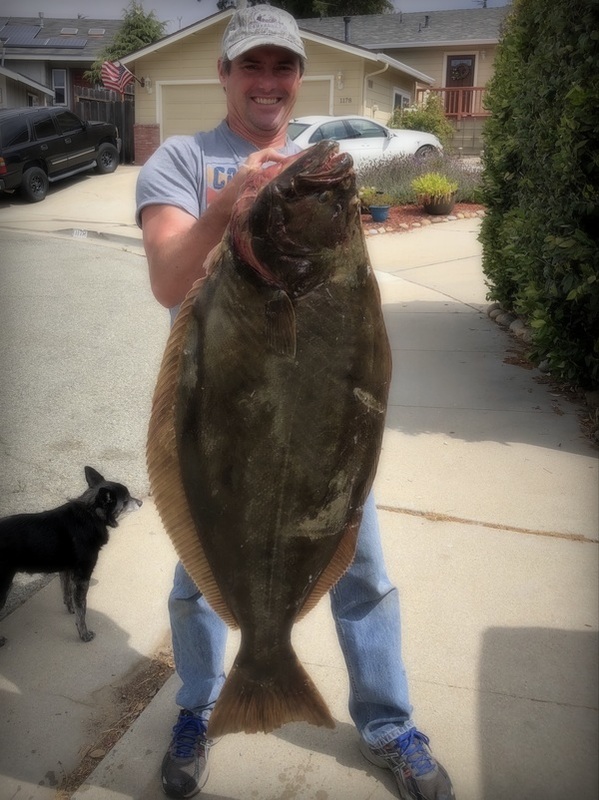 It is unusual for this late in the season, but quite a few undersize halibut are still gulping bait or biting lures from some of the small protected beaches near Capitola. Seeing this many short flattties this late in the summer bodes well for halibut fishing in the years to come.